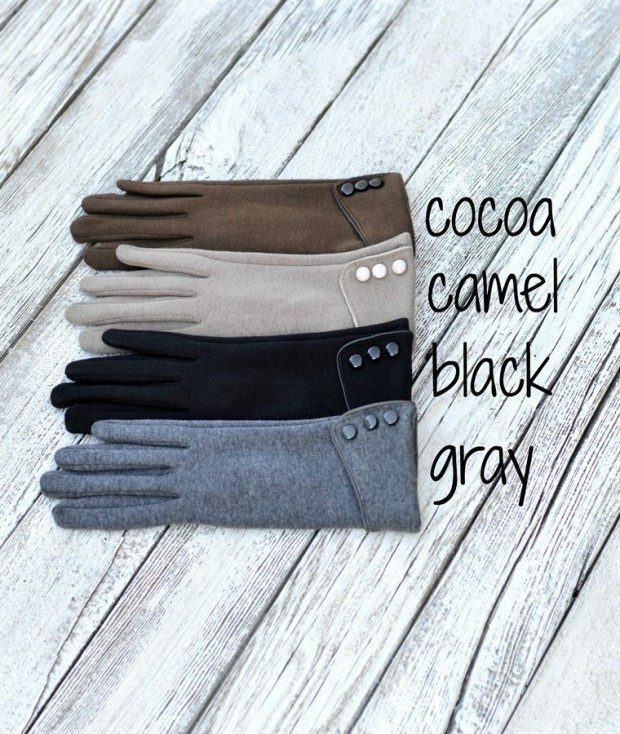 Fleece Lined Touch Screen Gloves Just $5.99! You are here: Home / Great Deals / Fleece Lined Touch Screen Gloves Just $5.99! You want to text and you want to keep your hands warm and stylish while you do it! Order a pair of Fleece Lined Touch Screen Gloves for Just $5.99! Special pads on the thumb and index finger allow you to easily use your touch screen, keeping your hands toasty warm while keeping you connected at the same time. Buttons add an extra touch of style! Click here to check out more Great Deals!